Our second premiere was the body inhabiting drama Two Cops starring Jo Jung Suk and Hyeri. It took over the last place position. 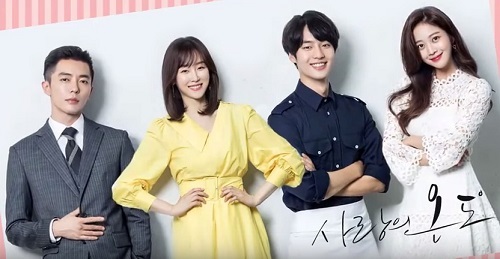 Airing in a different time slot this week, 20th Century Boy and Girl improved in its numbers including reaching 4% for its finale, a number it hadn’t seen since early in its run. It looks like Witch’s Court dominated over the new premieres by huge numbers. But now that it’s complete, next week we will see the premiere office romantic comedy Jugglers starring Daniel Choi and Baek Jin Hee. So it still could be anybody’s game at this point. This entry was posted in News and tagged 20th Century Boy and Girl, Doubtful VIctory, Hyeri, Jo Jung Suk, Jung Hye Sung, Jung Ryeo Won, kdrama, Korean Drama, Two Cops, Witch's Court, Yoon Hyun Min, Yoon Kyun Sang. Bookmark the permalink. Hmm, that is an interesting ratings dip from episode 2-3 for Two Cops.